Home » zoya » Zoya Color Spoons! 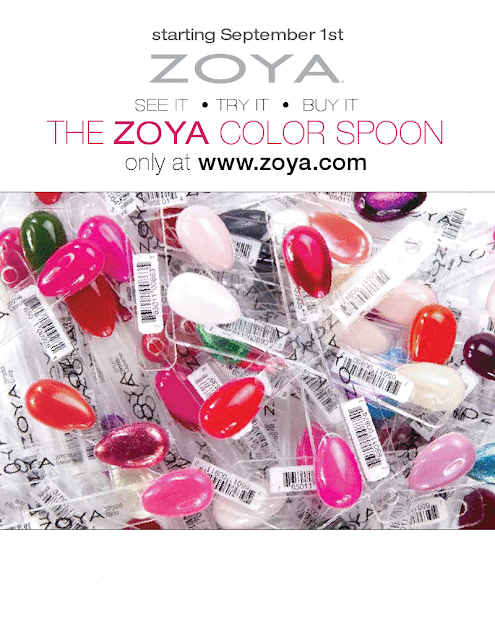 Zoya Nail Spoons - $0.50 ea. (free shipping on all spoons - value of spoon(s) will be added to your account for a future zoya.com purchase). Zoya Nail Spoons will be available at www.zoya.com starting September 1, 2010. * All Zoya Color Spoon sales are final. One time personalized spoon value code. Zoya Color Spoon value code can be applied to any polish or treatment item at www.zoya.com. Code cannot be used to purchase additional spoons.